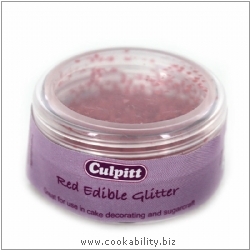 This red edible decoration is a great way to add shimmering colour to a cake. Try using them for highlighting messages or adding sparkle. Contains:- E422,E461,E462,E330,E955,E211,E120,E171.